Lemongrass is a stalky grass-like medicinal herb used predominately in Thai, Laotian and Vietnamese cuisines. This herb has a strong lemony and refreshing scent and used for marinating meat, flavouring broths or steeping teas. 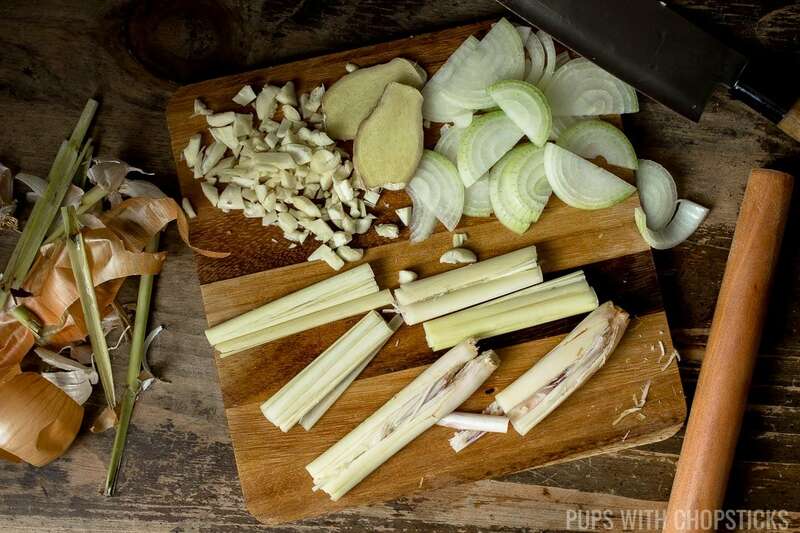 Lemongrass is most commonly used in 3 ways: as a marinade, in broth and soups or as tea. In a stock, you usually just keep them whole and bruise the thick bottom stalk with a blunt object to release some of the oils. Keeping it whole allows you to remove them from the stock easily when it is done. Regardless of what method you use, you only use the bottom white parts of the lemongrass stalk. This is the part that contains the oils and is not dried out. If the outer leaves are dried, those are usually peeled off and discarded as well. You also want to smash it or bruise it to release the oils before you use it as well. You can find fresh lemongrass stalks and frozen pre-ground lemongrass at Asian supermarkets. 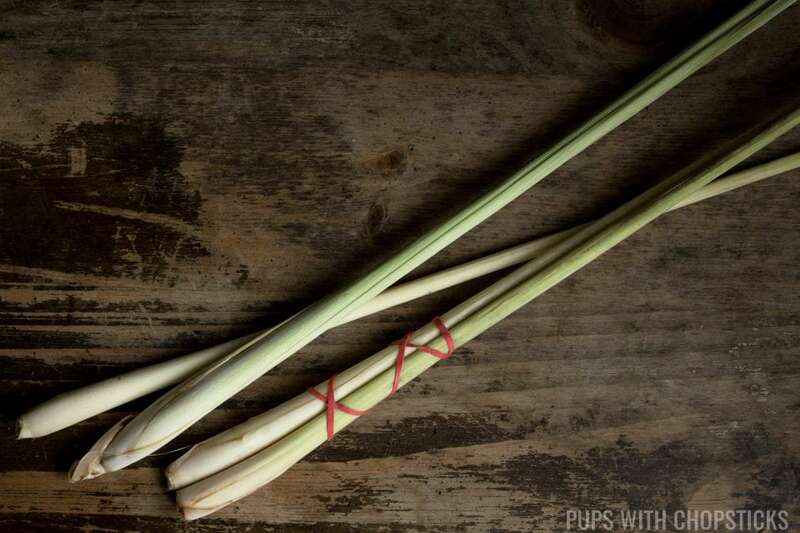 When you are shopping for fresh lemongrass, look for green tips with a milky white bottom stalk that are firm. It should not look super dried out however it’s normal for the green tops to be slightly dried out. They are about 1 foot long. Frozen lemongrass is usually in plastic containers in the freezer aisle. If you cannot easily find fresh or frozen lemongrass locally, an alternative is using powdered lemongrass which you can easily find online. Keep in mind that this would not have the same effect as the fresh and frozen lemongrass and should not be substituted 1:1 to fresh lemongrass. I would mix 50% lemongrass powder and 50% lemon zest together and substitute that with the lemongrass. Lemongrass has a very strong uplifting and refreshing citrus lemony scent but it doesn’t really taste like a lemon. It has no acidity to it and has a bit more complexity than a lemon and a milder citrus flavor. Keep frozen lemongrass frozen and well sealed to prevent freezer burn. If you have fresh lemongrass that needs to be stored, it can be kept temporarily in the fridge tightly wrapped for 2 weeks. If you plan to store it for longer, cut off the white stalks at the bottom and discard the dried bits at the top. Store it in a well-sealed freezer bags in the freezer to prevent freezer burn.